As one of the few Titleist trainers in Hampshire, Surrey and London, I enjoy the break from my more regular work of helping people with general stiffness and pains to focusing on local golfers and their golf swings. I must point out that although I love playing golf, and I work with a number of professionals at clubs in Hampshire and Surrey, I’m a specialist golf physio, not a golf coach. I don’t promise to turn you into the next Jordan Spieth or Georgia Hall, but through the techniques pioneered by The Titleist Performance Institute (TPI), I help golfers develop the strength and flexibility to make individual swing actions much more effective and less wearing on joints and muscles. TPI is the world’s leading education and research facility, dedicated to the golf swing. TPI has carried out research into how stiffness or weakness in a player’s body can affect their golf swing and potentially lead to injury. The Institute runs courses for physiotherapists at centres across the UK. I completed my course in 2013 at the renowned PGA National Training Academy at The Belfry to become a certified level two professional, qualified to use TPI techniques. We don’t believe that there’s just one correct swing; you just have to look at any major golf tournament to see that. But we do believe that every individual has an optimum swing for them, based on what their body can do. TPI has devised a physical screening process to determine if a golfer’s body is causing problems with their swing. The golf swing is an immensely complicated action involving multiple muscles and joints in different planes. Trying to spot a problem would be very difficult, so I ask clients to carry out a series of exercises that isolate each elements of a swing, allowing me to see joints moving separately. This makes it easy to see any flexibility or posture problems that are affecting your swing, and which may also be storing up painful conditions in the future. Common swing problems result from stiffness in your back, shoulders and hips, or weak core strength which leads to poor balance and unstable movement. Titleist trainers also frequently work with golf pros to develop a programme to help clients. 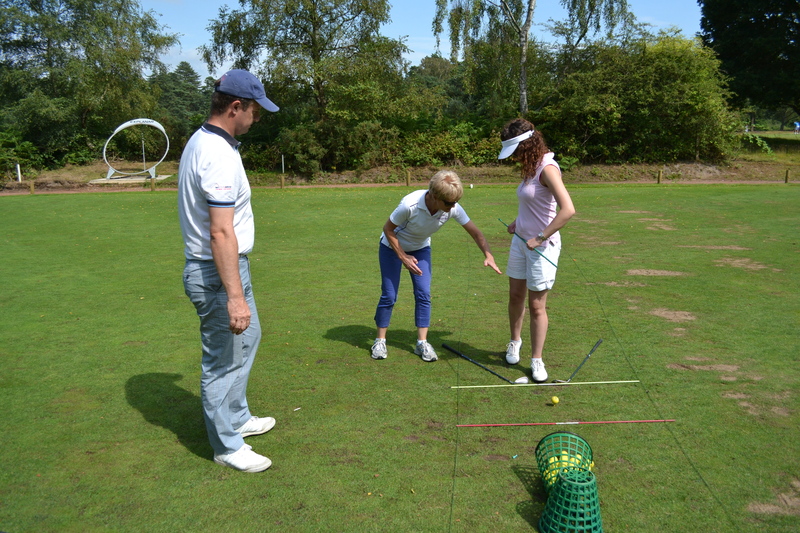 I work in close cooperation with the staff at Liphook Golf Club in Hampshire to help club members improve their game. Improving your physiological restrictions can allow you to swing your club more efficiently and potentially make a big improvement in your golf game. It can also help you to continue leading a pain-free, active lifestyle.